Scott Dixon has won his fifth IndyCar championship with a second-place finish at Sonoma Raceway. Ryan Hunter-Reay won the race from the pole. Dixon needed only a steady race to hold off challenger Alexander Rossi in the championship fight. Rossi broke his front wing on the opening lap when he ran into teammate Marco Andretti and it effectively ended his chances. Dixon from there didn't take any chances and coasted to the title. His five championships trail only the seven won by A.J. Foyt. Championship contender Alexander Rossi has had a disastrous start to the season finale. His car was damaged on the opening lap at Sonoma Raceway when he made contact with teammate Marco Andretti. Rossi had to pit for a new front wing and dropped to last in the field. The American is chasing Scott Dixon in the standings and needed a nearly flawless race to steal the title from Dixon. He trailed Dixon by 29 points at the start of the race. 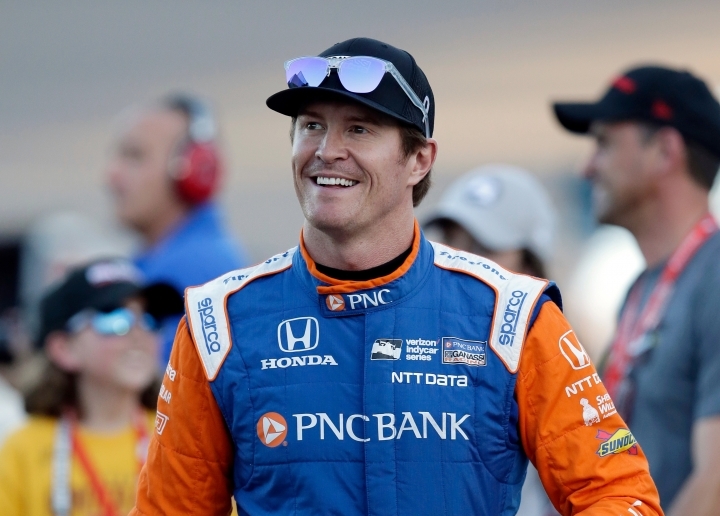 Scott Dixon goes for a fifth IndyCar championship Sunday in the season finale at Sonoma Raceway. The New Zealander holds a 29-point lead over Alexander Rossi in the standings, but the finale is worth double points. A bad day for Dixon would give Rossi a shot at his first championship. Dixon starts second behind pole-winner Ryan Hunter-Reay, who is a teammate of Rossi's at Andretti Autosport. Rossi starts sixth. The race airs on NBC Sports Network immediately following the NASCAR's playoff opener from Las Vegas. The network has acquired the rights to the entire IndyCar season next year and hopes to stack races with NASCAR events to lure in viewers new to the open wheel series.